Our first in a series of images that we will be posting during the election to reveal more truths about these very seriously flawed GOP candidates for President that you won't hear from the Main Stream Media. 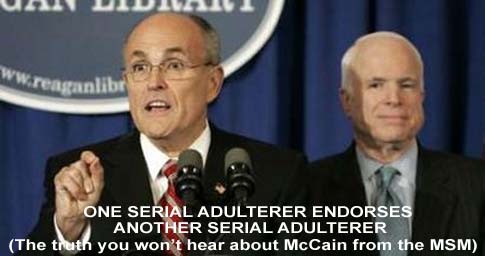 Yes, it's nasty but so are Giuliani and McCain. Please share these images with your friends so that the truth gets out.